You are here: Home / Skincare / Beware of Greenwashing! 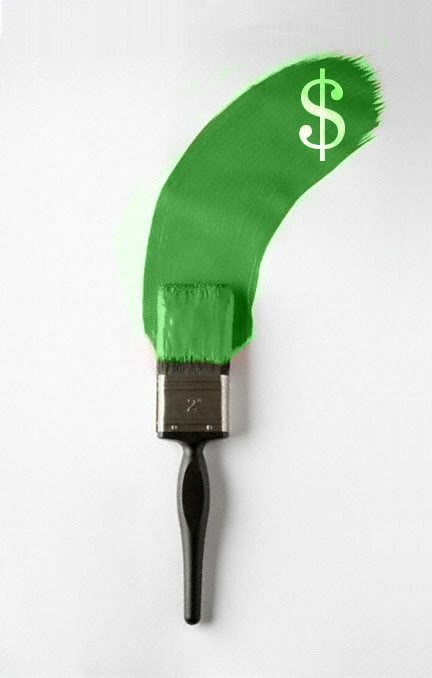 Greenwashing (modelled on “whitewash“) is a the act of misleading consumers in which green public relations or marketing is deceptively used to promote the perception that an organization’s products or services, aims or policies are environmentally friendly making it a convenient slogan. Greenwashing efforts can range from changing the name, label of a product, packaging (example making it green and white) or tweaking ingredients by adding an ingredient considered to be natural, changing the color, or the scent. While greenwashing is not new, its use has increased over recent years to meet consumer demand for environmentally friendly goods and services. Products that are supposedly healthier for the public when used (example, cosmetics and skincare). Click here for a fabulous article on greenwashing in the beauty industry. The problem is compounded by lax enforcement by regulatory agencies. If an industry or company has been forced to change a product, clean up its pollution or protect an endangered species, then uses PR campaigns to make such action look proactive or voluntary. The term greenwashing was coined by New York environmentalist Jay Westervelt in a 1986 he opined that the actual objective of a “green campaign ” was in fact, increased profit. The public is willing to pay more for what they believe to be organic, green, natural, etc. As well as give the company a more friendly public opinion. In 1998 the Federal Trade Commission created the “Green Guidelines,” which defined terms used in environmental marketing. A study in 2010 found that 95% percent of the consumer products claiming to be green were not green at all. Sin of the Hidden Trade-off, committed by suggesting a product is “green” based on an unreasonably narrow set of attributes without attention to other important environmental issues. Sin of Vagueness, committed by every claim that is so poorly defined or broad that its real meaning is likely to be misunderstood by the consumer. Sin of Worshiping False Labels is committed when a claim, communicated either through words or images, gives the impression of a third-party endorsement where no such endorsement exists. Sin of Irrelevance, committed by making an environmental claim that may be truthful but which is unimportant or unhelpful for consumers seeking environmentally preferable products. 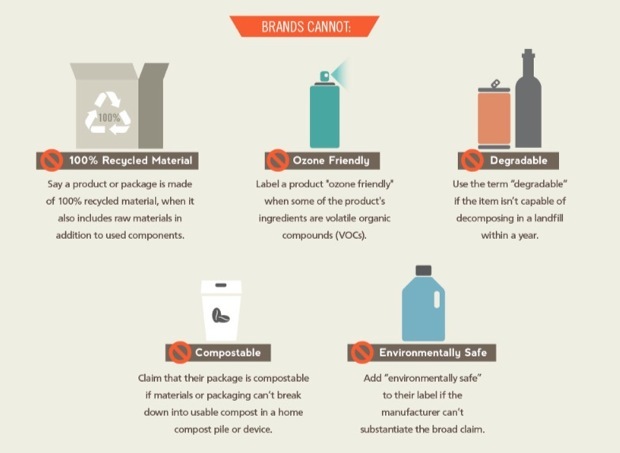 Sin of Lesser of Two Evils, committed by claims that may be true within the product category, but that risk distracting consumers from the greater environmental impact of the category as a whole. Sin of Fibbing, the least frequent Sin, is committed by making environmental claims that are simply false. In 2008, Ed Gillespie identified “ten signs of greenwashing”, which are similar to the Seven Sins listed above, but with three additional indicators. Suggestive pictures – Images that imply a baseless green impact, such as flowers issuing from the exhaust pipe of a vehicle. Just not credible – A claim that touts the environmentally friendly attributes of a dangerous product, such as cigarettes. The use of jargon and/or information that the average person can not readily understand or be able to verify. Companies may pursue environmental certification to avoid greenwashing through independent verification of their green claims. For example, the Carbon Trust Standard launched in 2007 with the stated aim “to end ‘greenwash’ and highlight firms that are genuine about their commitment to the environment”. The average citizen is finding it more and more difficult to tell the difference between those companies genuinely dedicated to making a difference and those that are using greenwashing. « Scents I’m Into Now!